Dr. Jonathan Mwangi is an Assistant Professor of Medical Biochemistry in the School of Pharmacy aand Health Sciences. He got his Ph.D. in Infection and Immunity in 2006 from University of Glasgow, UK. I have interests that span biochemistry, public health and forensic science. My research interests are in determining the molecular basis of disease, pathogenesis and disease outcome. To this end I am interested in looking at the molecular basis of pathogen resistance to drugs especially antimicrobials, antiprotozoals etc. I also have broad interests in research and innovations geared towards public health improvement and novel interventions that can uplift people’s lives by improving their health. 1. Ranford-Cartwright, L. C., McGeechan, S., Inch, D., Smart, G., Richterova, L., Mwangi, J.M. (2016). Characterisation of Species and Diversity of Anopheles gambiae Keele Colony. PLoS ONE 11(12): e0168999. https://doi:10.1371/journal.pone.0168999. 3. 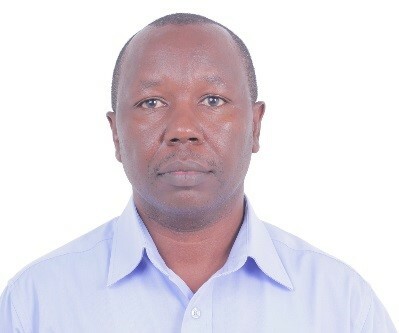 Muriuki, E. W., Kang`ethe, S., Mwangi, J., Suleiman, M. (2015). Morphological Characterization of Enteric Pathogens in Thiba River of Kirinyaga County, Kenya. International Journal of Life Sciences Research 3: 10-19. 4. Mwangi, J.M., Ranford-Cartwright, L.C. (2013). Genetic and genomic approaches for the discovery of parasite genes involved in antimalarial drug resistance. Parasitology 140:1455-1467. DOI: https://doi.org/10.1017/S0031182013000954. 5. Ranford-Cartwright, L.C., Mwangi, J.M. (2012). Analysis of malaria parasite phenotype using experimental genetic crosses of Plasmodium falciparum. International Journal of Parasitology. 42: 529–534. DOI: https://doi.org/10.1016/j.ijpara.2012.03.004. 6. Smith PH, Mwangi JM, Afrane YA, Yan G, Obbard DJ, Ranford -Cartwright LC, Little TJ. (2011). Alternative splicing of the Anopheles gambiae Dscam gene in diverse Plasmodium falciparum infections. Malaria Journal. 10:156. DOI: https://doi.org/10.1186/1475-2875-10-156. 7. Wangai, L.N., Muriira, G., Omar, S., Magoma, G., Kimani, F., Mwangi, J.M., Burugu, M. W., Maina,N. (2011). Molecular screening for Plasmodium falciparum resistance markers for Artemisinin in Mbita, Kenya. African Journal of Clinical and Experimental Microbiology. 12: 106-110. DOI: https://doi.org/10.4314/ajcem.v12i3.4. 8. Mwangi, J.M., Ranford-Cartwright, L.C. (2010). Plasmodium falciparum quantitative trait loci determining infectivity to Anopheles gambiae mosquitoes. American Journal of Tropical Medicine and Hygiene 83 (5): 119-120. 9. Ranford-Cartwright, L.C., Mwangi, J.M., Ricklefs, S.M. Porcella, S.F., Su X.Z. (2010). Inheritance patterns and recombination frequency in the 3D7 x HB3 Plasmodium falciparum experimental cross: a new genetic map. American Journal of Tropical Medicine and Hygiene 83 (5): 12-12. 10. Ranford-Cartwright, L.C., Sinha, A., Humphreys, G.S. and Mwangi, J.M. (2010). New synchronisation method for Plasmodium falciparum. Malaria Journal. 9: 170. DOI: https://doi.org/10.1186/1475-2875-9-170. 11. Mwangi, J., Ranford-Cartwright, L. (2008). Analysis of Plasmodium falciparum quantitative trait loci determining differential infectivity to anopheles mosquitoes. American Journal of Tropical Medicine and Hygiene 79 (6): 120-121. 12. Mwangi, J. Omar, S.A., & Ranford-Cartwright, L.C. (2006). Comparison of microsatellite and antigen-coding loci for differentiating recrudescing Plasmodium falciparum infections from reinfections in Kenya. International Journal for Parasitology. 36 (3): 329-336. DOI: https://doi.org/10.1016/j.ijpara.2005.10.013. 13. Stivanello, E., Cavailler, P., Cassano, F., Omar, S.A., Kariuki, D., Mwangi, J., Piola P. & Guthmann, J-P. (2004). Efficacy of chloroquine, sulphadoxine–pyrimethamine and amodiaquine for treatment of uncomplicated Plasmodium falciparum malaria in Kajo Keji county, Sudan. Tropical Medicine and International Health. 9: 975–980. DOI: https://doi.org/10.1016/j.ijpara.2005.10.013. 15. Schallig, H., Omar, S., Schoone, G., Yusuf, A., Mwangi, J., Kaniaru, S., Omer, G. & Mens, R. (2005). Evaluation of quantitative nucleic acid sequence based amplification assay to predict Fansidar treatment outcome of uncomplicated falciparum malaria. Acta Tropica. 95: S372-S372. 1. Mwangi, J.M., Ndegwa, L., Cheren, C. and Somers, T. (2016). Challenges in Providing Universal Health Coverage in Kenya. Book Chapter in Global Health Informatics Book. Pg 23-40. Boston, MA: MIT Press. 2. Mwangi, J.M., Humphreys, G.S., Sinha, A. and Ranford-Cartwright, L.C. (2013). Tight synchronisation protocol for in vitro cultures of Plasmodium falciparum. Book Chapter in Methods in Malaria Research: Sixth Edition. Edited by Kirsten Moll, Akira Kaneko, Arthur Scherf and Mats Wahlgren. Pg 30.